While no one will argue that Lake Erie offers terrific early season Walleye fishing, generally enhanced by cooler temperatures and a later start to warmer Spring weather, Lake Erie will again face the disturbing impact of Harmful Algae Blooms (HAB). Clean Water Warrior will be following HAB activity across the Great Lakes, while also reporting on inland freshwater hotspots, and globally troubled areas. In the coming months, Clean Water Warrior will begin posting pictures of polluted freshwater, AND best practices, as a means to call attention to the fresh surface water issues across the planet. To the joys of clean water! Harvey, Irma Costs Brutal & Unstoppable. Next? In one of the best articles I have read to-date on the costs of Harvey and Irma, from VOX , it is estimated that the damage each storm produced exceeds $100 billion. And these are likely to be low-ball numbers. First … storms of this magnitude will happen again. And soon. Maybe as soon as next year. This was the case for Florida, which saw 2017 Irma follow 2016 Matthew. How can cities like Miami, Houston, New Orleans, Key West, and so many others be prepared properly … with such swift turnaround? The short answer is they probably can’t. Cynical as this may sound, grasping that reality is a far better alternative to reacting in the aftermath of hurricane devastation. And hoping heroic efforts will, time and again, carry the day. They won’t. 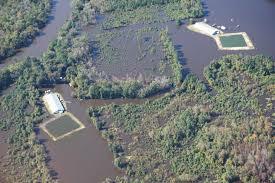 Second … the hit agriculture takes, and creates — in the form of waste runoff, manure holding pond breaches, etc. — will be among the worst. Animal death tolls will not be available for months and, as of this moment, reasonable figures for environmental damage from agriculture are also unavailable. But this passage (taken from an article on www.agnewsfeed.com, which cites as a source Christopher Collins of the Texas Observer) describes exceptionally well a scene that no doubt was repeated throughout the storm-torn areas of the South and South Central parts of the USA. 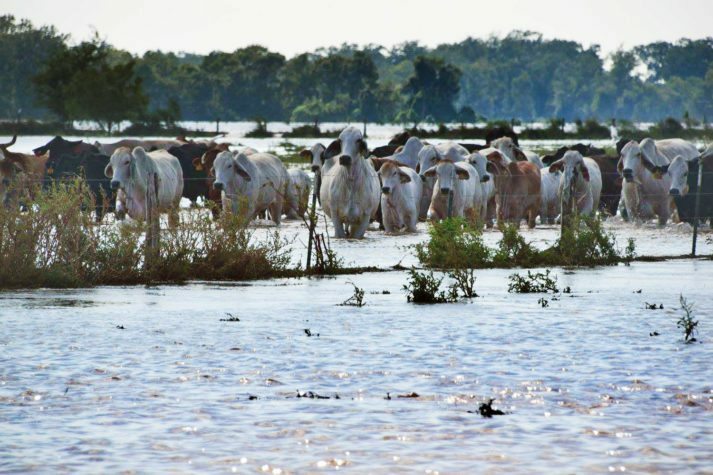 The Devilliers also face a bevy of other flood-related problems, such as property devaluation, stunted grass growth in pastures and the loss of about 1,000 bales of hay that were spirited away from ranches by the rising tide. “We just lost all of it — I could see it floating down the interstate,” Richie said. Elsewhere in Texas, stories have trickled in of other livestock producers who were walloped by Harvey. 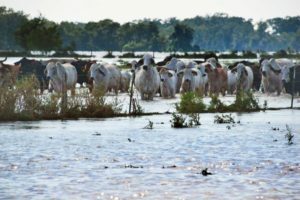 In La Grange, about an hour southeast of Austin, ranchers swam to rescue as many cattle as possible after they’d been swept away from properties near Highway 71. A stranded group of cows in Jackson County had to be flushed to higher ground by helicopter. Near Rockport and Ingleside, 100 cattle have been reported dead or missing, along with 120 exotic game animals, including elk and oryx. Those numbers likely will grow as more dead animals are found under piles of debris, said Texas A&M AgriLife extension agent Bobby McCool. The devastation from Harvey and Irma is clear and was seemingly unstoppable. Less obvious in the aftermath is what new precautions can be taken by farmers to minimize problems with farm runoff, while more cleanly managing animals and the manure they create. Hurricane Irma has made its way through Florida, with Georgia, Alabama and Tennessee in its path — but no longer as a Category 3 Hurricane. Instead, it is moving into these areas as a tropical storm. Which by comparison sounds relatively benign. And, in terms of damage to property … it is. But rainfall will be the important part of Hurricane Irma’s after-story. Like Hurricane Matthew in 2016, the heavy rains from Irma will strain manure lagoons all across the Southeast. The terrible conditions that followed Matthew, are in some approximate measure likely to be repeated. 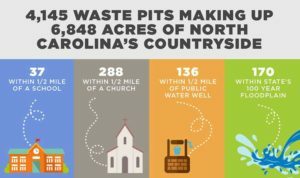 And, while a sizable death toll of animal life in the form of hogs, cattle, cows, chickens, and turkeys is tragic — the runoff from manure lagoons, and land, may be of equal concern. 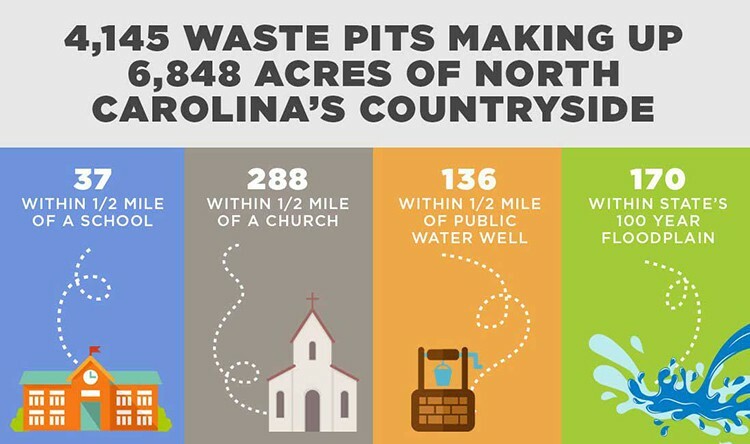 The waste has to go somewhere and, as ever, it will be downstream. Even operations doing a credible job implementing best practices, like Larson Farms in Southeast Florida, will be stretched mightily to control waste runoff. Other farms with less resources can be expected to struggle even more. Watch for reports of animal death tolls, water pollution from animal waste, and heavy Harmful Algae Bloom (HAB) outbreaks, in the coming days and months. Amidst the damage Hurricane Irma will cause to property, a no longer subtle by-product of this powerhouse hurricane will be the billions of gallons of polluted, phosphorus filled, water flowing out of Lake Okeechobee. The final resting spot for much of Lake O’s flowage — which the Army Corps of Engineers is tasked with monitoring, to control flooding … not curb harmful algae bloom (HAB) activity — will be Florida’s Golden Coast. finally transmuted into a mass of black rot. The stench hanging over the St. Lucie River ripened from an odor of garbage to carcasses to feces. “It was just disastrous,” says fishing guide Capt. Rufus Wakeman, who owns River Palm Cottages and Fish Camp on Indian River Lagoon. 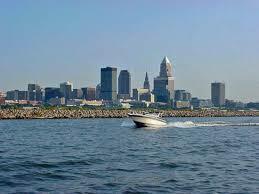 The noxious bloom ruined much of July for guides, charter boats, marinas, boatyards and other businesses. It closed beaches, curtailed tourism during the Fourth of July holiday and drove riverfront homeowners to escape the stench by staying at hotels or going on vacation. In the coming days, as Hurricane Irma pounds Florida with Category 5 storms, more will be written here about the total water release from Lake O, and projections on what happens next. Until then, our thoughts are with those in Florida and elsewhere – in harm’s way. For live updates, CNN is tracking Irma.